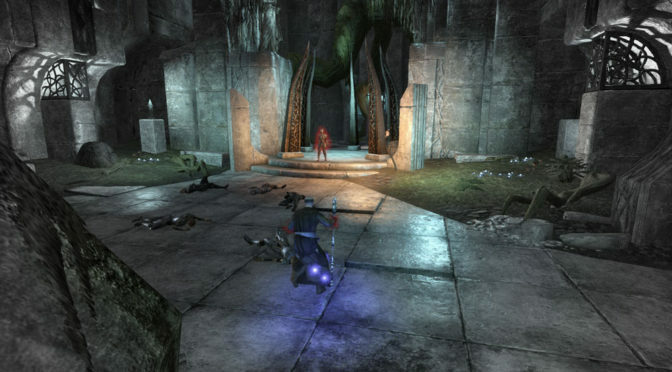 The Ayleids who fled to Valenwood after the Slave Rebellion were mostly those who worshiped the Daedric Princes, which was outlawed under Empress Alessia. The Slave Queen melded the Aedra worshiped by her human and remaining Elven subjects to create the Eight Divines. 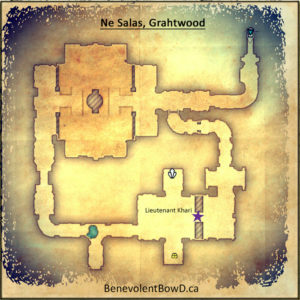 Located in a central southern Grahtwood, the Ayleid ruins of Ne Salas is accessed by a footpath off the main road just west of Gray Mire Wayshrine. This delve is not a suitable location to farm crafting materials. 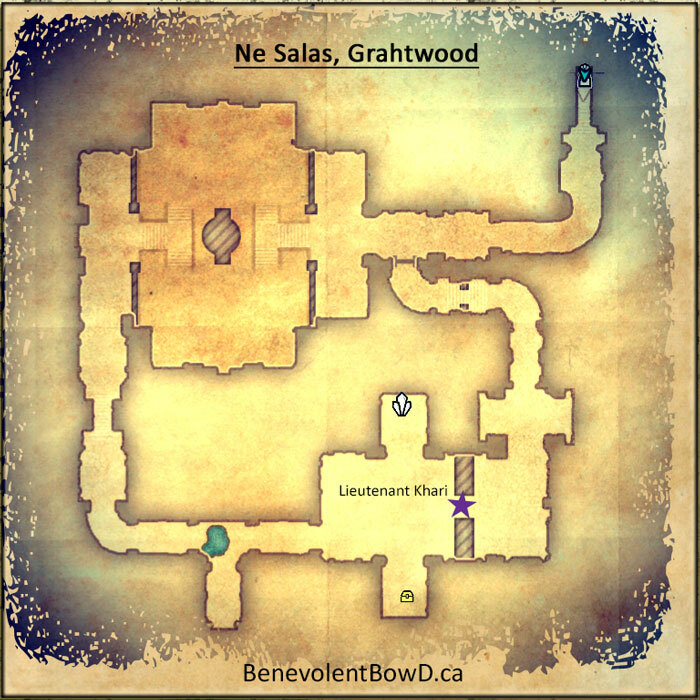 The circular nature of the ruin make for a quick in / out for the skyshard and the delve achievement, but that’s about it. Mostly white gear and occasional green and blue items.